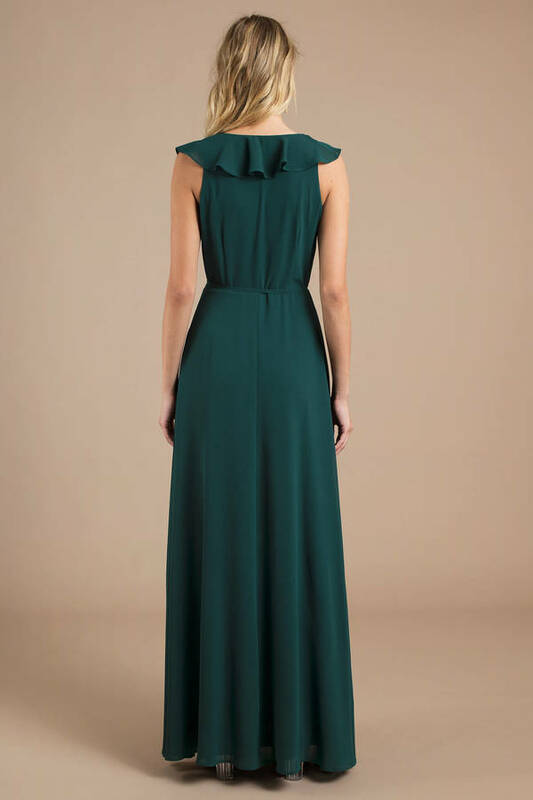 Check out Tobi's Treasure Me Ruffle Maxi Dress It's gown time. 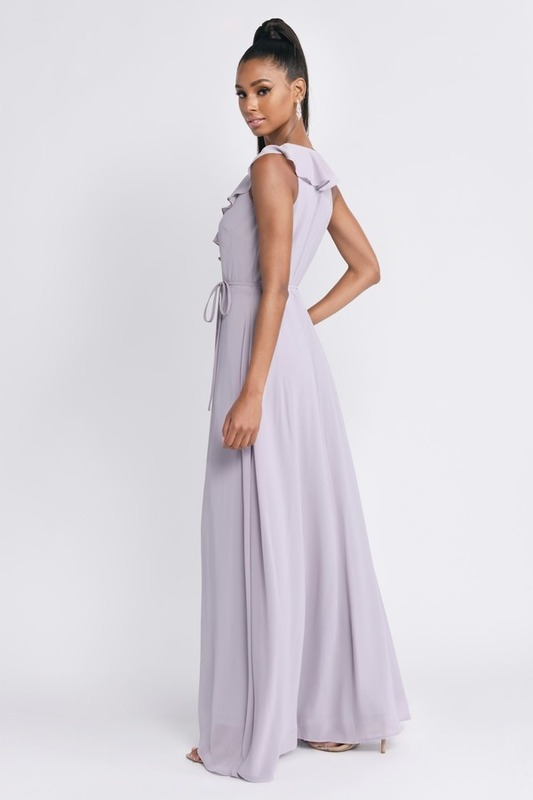 The Lilac Treasure Me Ruffle Maxi Dress is an evening maxi dress gem, with flirty ruffles along the v neckline and a breezy silhouette that exudes elegance. It's romance at its finest.